We love our fat quarters! That’s why we’ve been fizzing up a new quilt, here at Fat Quarter Shop! Introducing our newest Shortcut Quilt, Fat Quarter Fizz! Are you ready to get started? 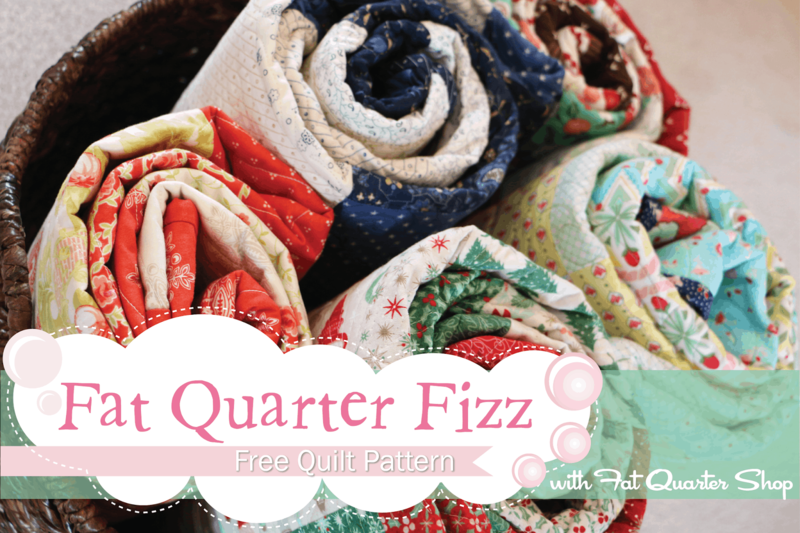 First, you need to download the FREE Fat Quarter Fizz Pattern, pick up your favorite fat quarter bundle, watch our video tutorial, and get sewing! Don’t know which fat quarter bundle to pick? We have an amazing selection of fat quarter bundles. Thank~You Kimberly, I Love this Pattern!! Nice!! I have been looking for easy ideas for fat quarters – this is perfect! So cute! I want to go start one right now! I was just wishing for a pattern I could use up some fat quarters on, but that wasn't difficult and would finish fast. This is perfect! Thank you for yet another wonderful free pattern, I don't know how you do it! I'm having trouble finding it, too. I saw this on Instagram. I love the blue and white! What a fun and simple pattern. Just the ticket when a quilt is needed fast. This would be a great scrappy quilt for our donation quilts at the quild. Thanks. Thumbs up on your video, actually all your videos! Great job Kimberly! Thank you! 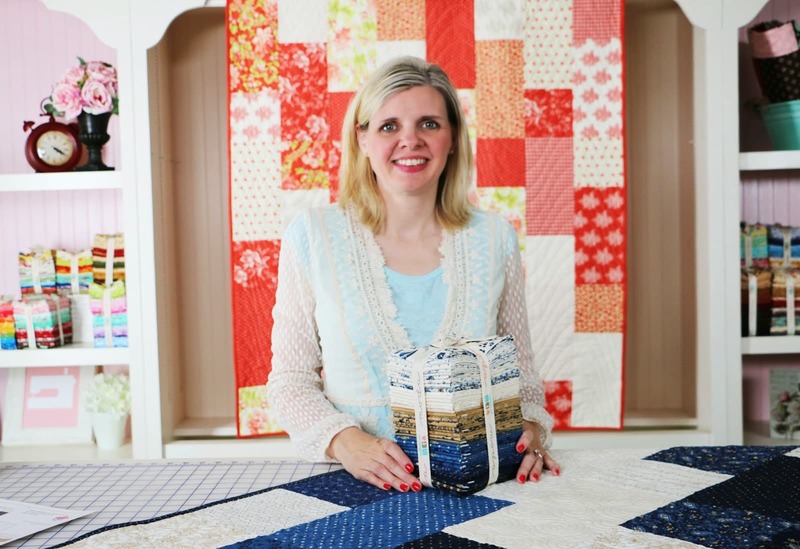 this is a great pattern and video as usual – you are so prolific Kimberly! You are always so generous. Thank you for this. Thanks so much for this pattern–I will be making one soon! I especially like the blue and white one. I saw all of these quilts popping up on blogs yesterday and I immediately downloaded the pattern. I work full time and quilt at night or on the weekends. Saying that to say I'm not the greatest at organizing pieces leftover from other projects (fat quarters are organized by color in shoe boxes) so I am going to use as many of those pieces as I can to make the smaller pieces in this quilt. It may be a bit more trouble but I will feel good about using up some fabric. After all, I can only make so many potholders with leftovers! This is so cute and so easy! I love all of the fabric options, but my favorite is the Into The Woods quilt. Such a pretty fabric line. Will you be "kitting" these? This is a lovely pattern – thank you. this is beautiful & what a great video! I'm a newbie and this looks like one I can try too! !